Large dark olives are out in force! The plan was to see if the trout had moved into the shallower glides and runs already with all the fly life that has been going on, I did turn a few rocks over at the start to see what was going on under there. loads of stone clingers and olive nymphs ready to emerge 🙂 The wind and the bright sun was a bit of a pain from the start so I did wonder if the flies were going to make a appearance later on in the day with any good numbers. Only time would tell. As ive said in other posts, early season can be tough and frustrating but it does get better as it goes on so hang on in there!. 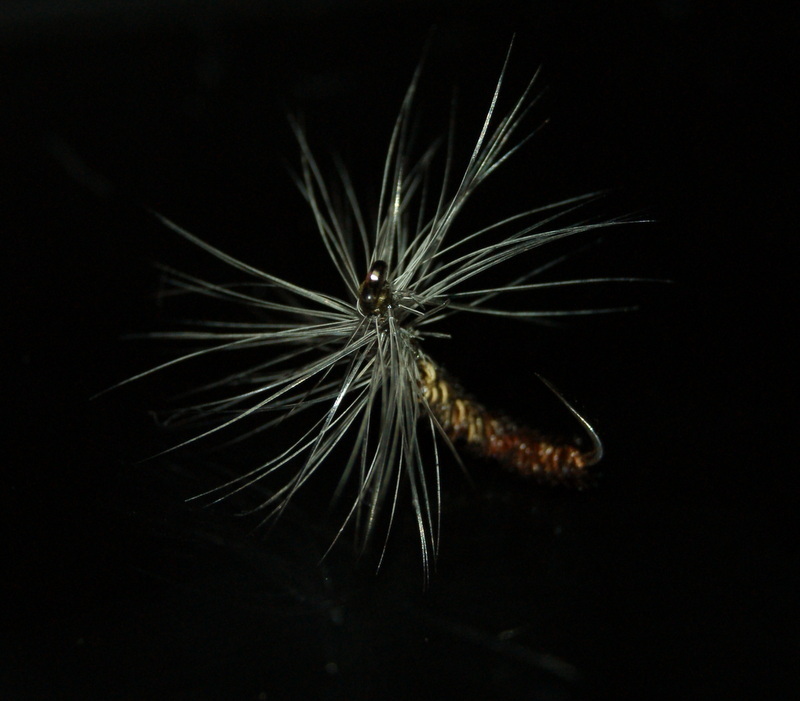 I started with fishing the French leader with only the single nymph. 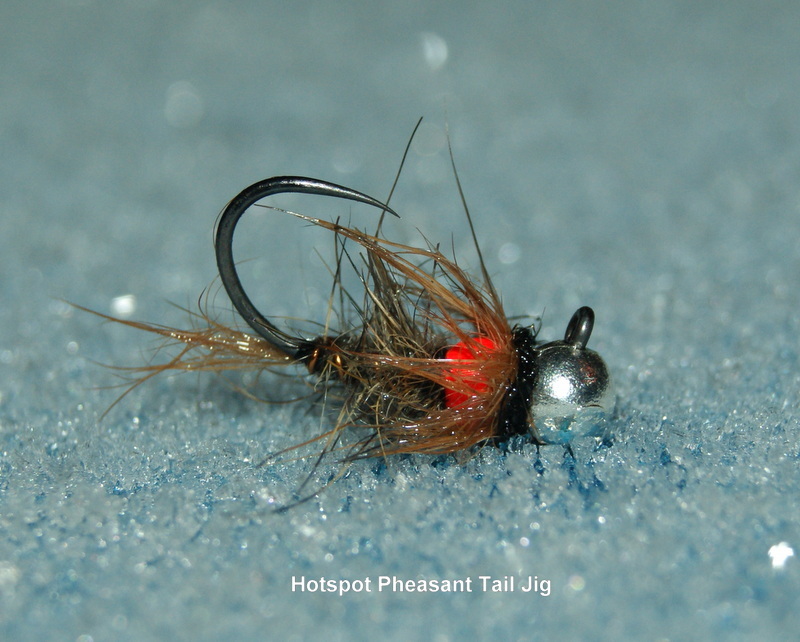 set up was 4ft of 1.40 stroft around 3ft from the indicator to the point fly, the fly choice was a 3m silver head hares ear hotspot, scruffy as hell thing but a good early season fly for me! 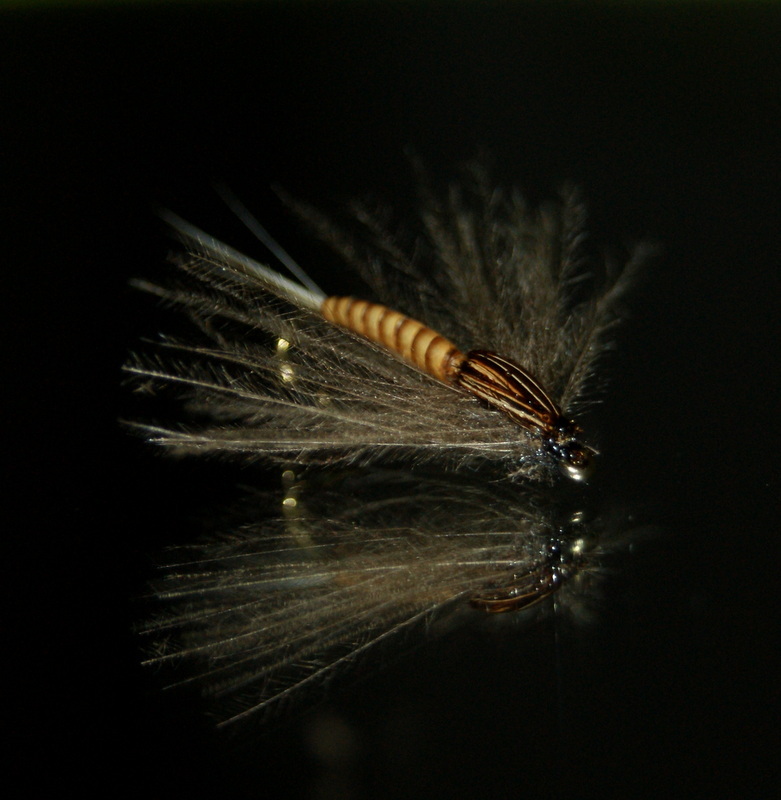 The dry fly patterns I use to match the large dark olive hatch are the cdc emerger for the start of the hatch that works a treat and as the hatch goes on and the trout switch to the dun I use something a little different 🙂 Both patterns below! 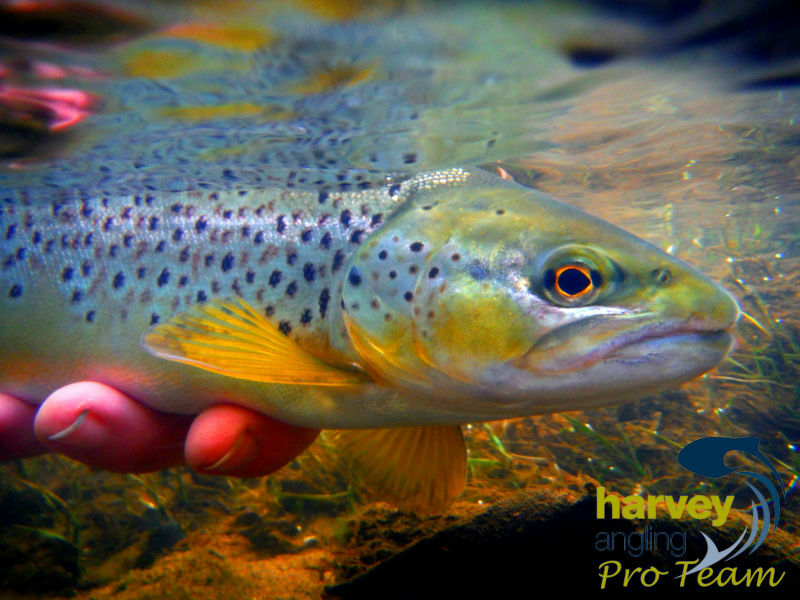 As we moved our way around the river the olives started to hatch and the trout started to feed hard, we both were taking fish on the nymphs and the dry but we both decided on moving out of the faster flowing waters to go on to the flat pools concentrating on the rising fish! 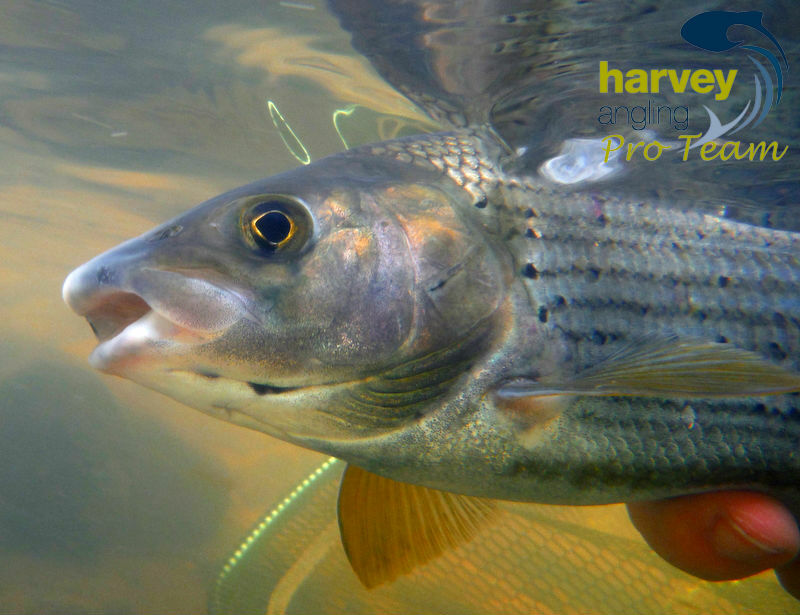 The olive hatch was in full swing and fish started to rise all over the place. I did see a good number of March brown going by. I did catch one and give it a good looking at and they were march browns! It’s nice to see them in good numbers on the river Taff, over the years the hatches of the march brown have been very rare. I’ll try to get a good photo next time out, my little camera just doesn’t do the job so ill have my kit with me on the next outing. . 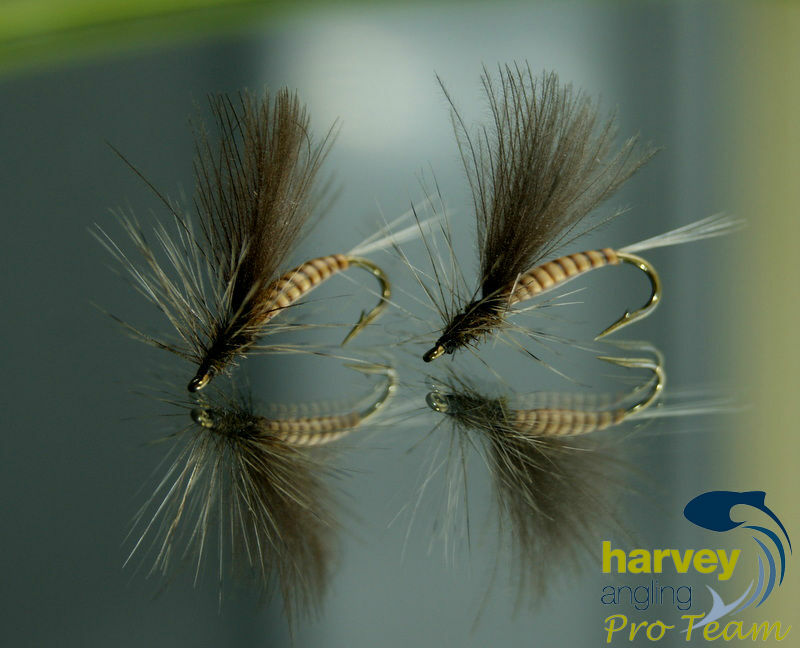 This entry was posted in Fly Tying, Harvey Angling, River Taff and tagged brown trout images, dries, dry fly fishing, Dry fly patterns, Flies, Fly Fishing Tackle, french leader, Harvey angling, Jig hooks, large dark olives, Nymphing, rising trout, river taff, south wales, Terry Bromwell, Trout images on March 21, 2015 by fishstalker666. Trout season is here and yes i’ve been out finally! 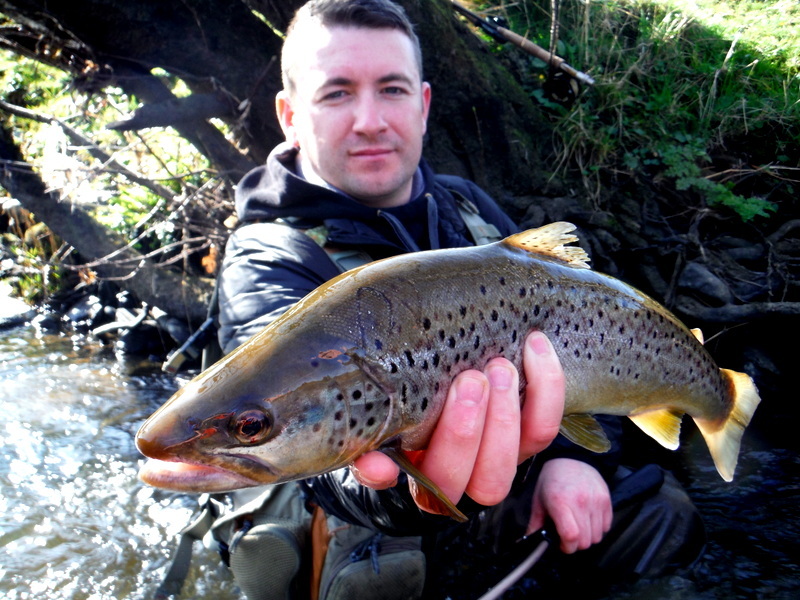 As we all know the start of the season can be a killer, slow and very frustrating trying to catch your first trout of the new season, but don’t give up there is always one or two that like to play ball somewhere! I moved away from the grayling and made my to the very ends of the pools waiting for a trout to poke its head out. Grayling tend to rise around the middle of the river and trout can be more tighter to the backs from where I was fishing, so that’s where i was watching. Finally I found two fish rising, i managed to catch the one and the second slipped the hook the bugger 🙂 I love this time of the year because on the river Taff you have to work that much harder to find and catch the trout! Not much trout action in the day but the grayling were fun and a few hours on the river is never wasted time! 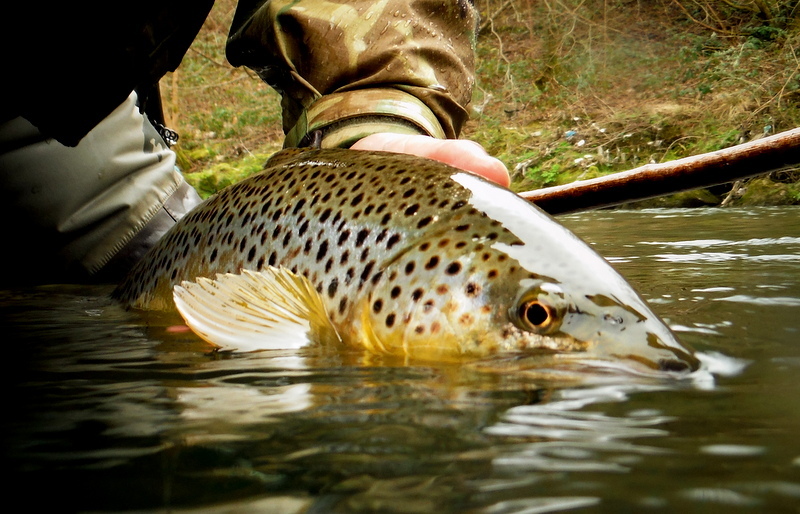 Looking forward to getting out next and maybe finding a few more trout rising and just maybe finding one of Taff monsters poking its nose out! Who knows what could happen! 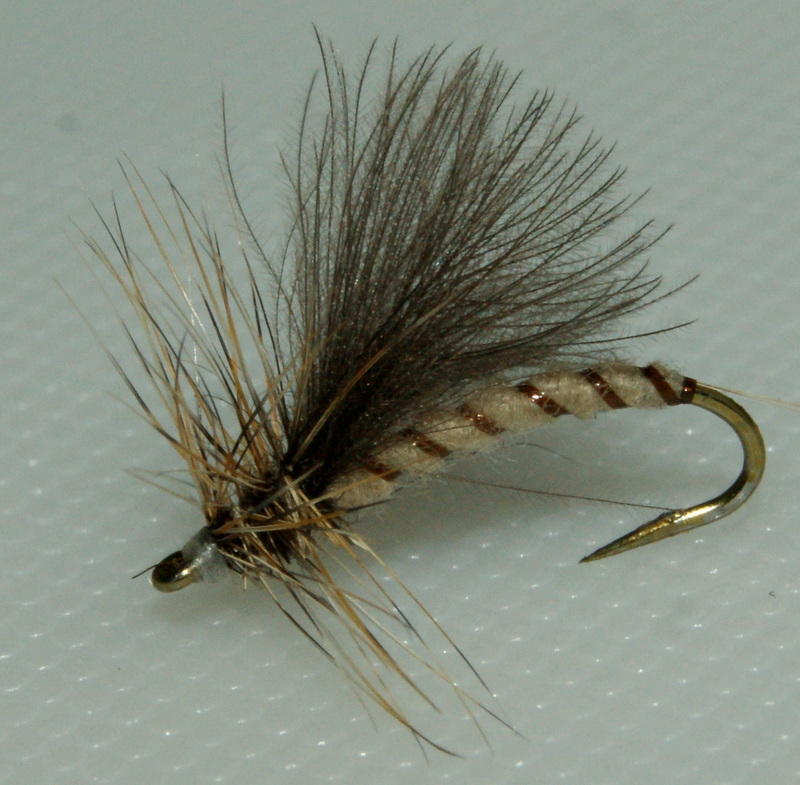 This entry was posted in Fly Tying, River Taff and tagged Dry fly patterns, Fly Fishing Tackle, grayling, Grayling photos, Harvey angling, large dark olives, river taff, south wales, south wales fly fishing, Terry Bromwell, trout, Trout images on March 10, 2015 by fishstalker666. 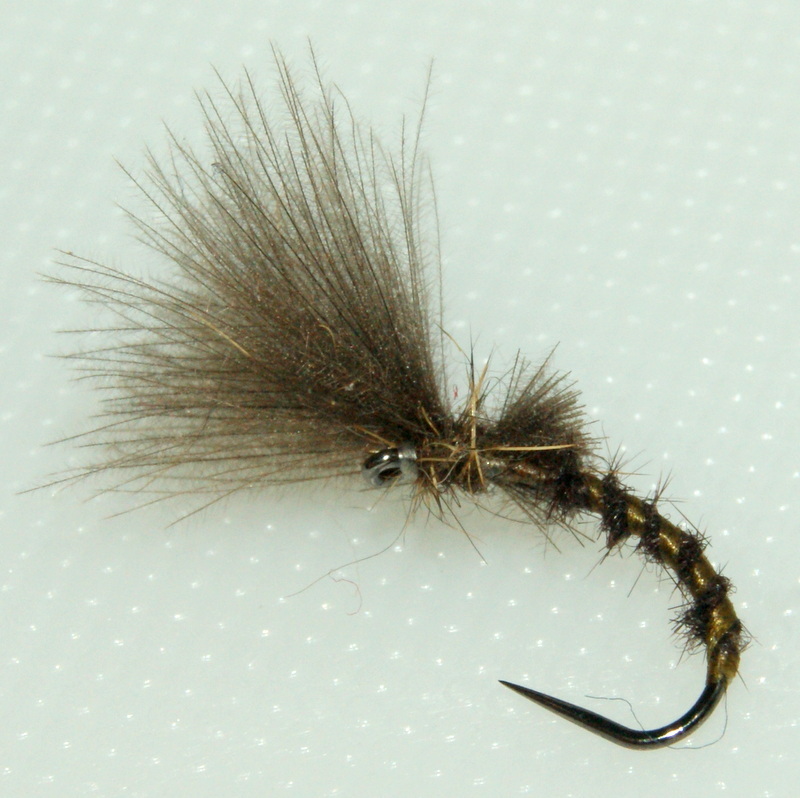 This entry was posted in Fly Tying, Harvey Angling and tagged Crystal clear compact dubbing box 12 compartments., dubbing boxes, fly tying, Harvey angling on March 9, 2015 by fishstalker666.